Often couples struggle for years trying to mend their broken relationships on their own. Or they spend those years avoiding and running away from their problems. Congratulations! 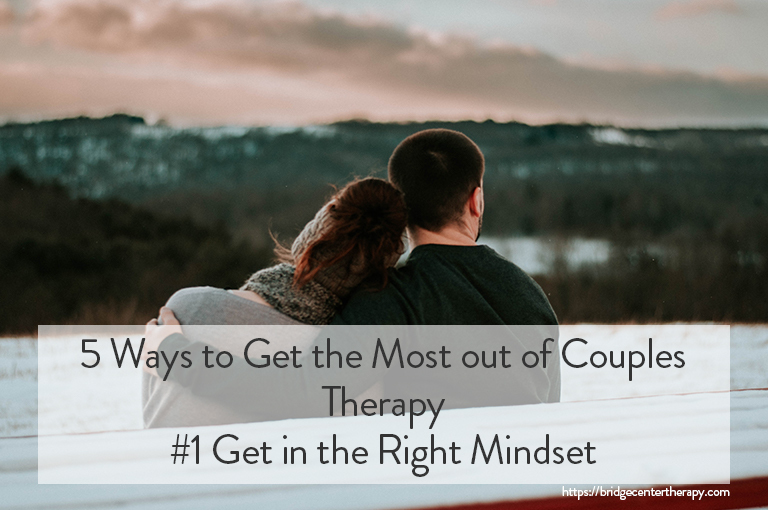 Being brave enough to commit to couples therapy is the first giant step toward making it better. Here we have collected some ways in which you can set yourself up for success. It is important to have goals in mind when you enter couples therapy. But, being positive about change is more important than the actions you will be taking. Your therapist has many tools to help you reach those goals, but all of that can only work if you are open to the possible benefits. Believing that you need to change your partner will only lead to disappointment. There is no way you can change another person. It took two people to get to this point. By focusing on yourself and the changes you can make, you will create the right environment for your partner to also change. Many couples go into therapy believing that their therapist can magically fix what’s broken. Your therapist is more like a coach than a magician. They can help you discover new ways of relating to your partner, but in the end, the work is up to you. If your therapist assigns you homework between sessions, do it. 4. Expect to be uncomfortable. Change is uncomfortable. Owning your faults is uncomfortable. Trying new ways of thinking and doing things is uncomfortable. Processing and permanently adopting a new view is uncomfortable. Be prepared for awkward conversations and silences. 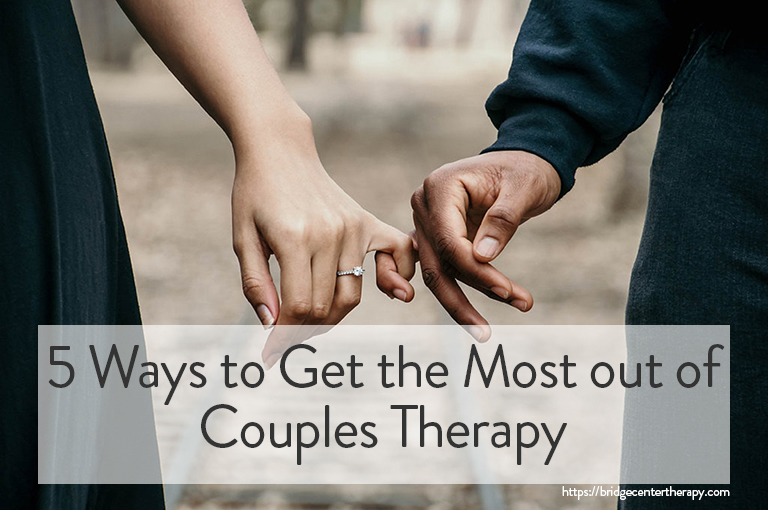 It is common for couples to stop therapy at the first sign of relief. While any improvement is a step in the right direction, it often takes more energy and requires that you dedicate more time to changing old patterns and making it permanent.